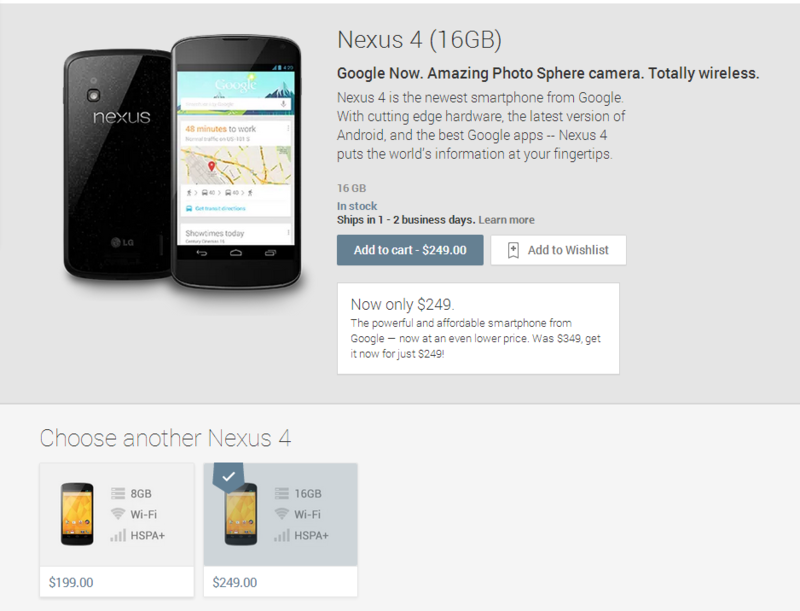 Wow – Google just dropped the price of both Nexus 4 variants by $100. The powerful and affordable smartphone from Google — now at an even lower price. Was $349, get it now for just $249! Update #1: This price drop is live in Australia, Canada, Germany, Spain, Korea, the U.S., and the UK. Update #2: And now in France. At this price, it's almost impossible to pass one up – get one for your mom, your dad, as a backup phone... whatever. Many on-contract phones aren't even this affordable! Head below to grab one.